At first thought, poetry and baseball would seem to be two things which don’t necessarily pop into one’s head together. 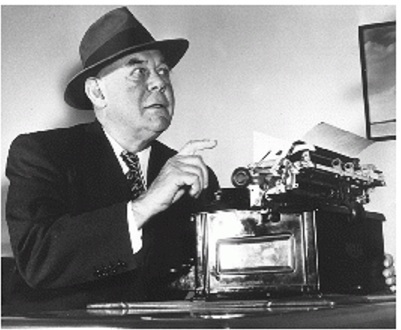 Yet, in days gone by, iconic baseball writers such as Grantland Rice were famous for their poetic prose in writing about the game. A well-turned double play can be described as poetry in motion. 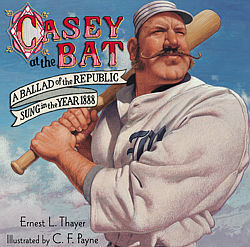 And of course everyone is familiar Ernest Lawrence Thayer’s poem, “Casey At The Bat”. And then there’s my son’s eighth grade poetry project. As you can imagine, poetry and 13-year-old boys (at least this particular one) get along about as well as dogs and cats, or oil and water, or Mets fans and Phillies phans. You get the idea. The project involved making a poster using four poems related to a theme – two published poems and two of their own. Of course my son chose baseball as his theme. 🙂 Their original poems needed to use some of the poetic devices they had been learning about, such as personification and onomatopoeia (I had to refresh myself on what these meant). Though short, one of the poems he came up with – all by himself! – wasn’t too bad. Right after the crack of a bat. Unlike a lazy fly ball. Yeah, I know, really original title there. 😉 And of course, he didn’t sign it that way, I’m just not using his real name in case any friends or relatives are reading this (you know who you are). Just to be clear, this must NOT ever be mentioned to him, or he will be absolutely mortified, and probably not speak to me for a very long time.